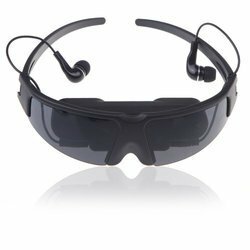 We have in our stores an extensive assortment of Video Glasses, which is sourced from some of the leading manufacturers of the industry. Manufactured making use of superior quality raw material and advanced techniques, these comes integrated with multimedia player, built in memory(2gb) and support sd (max 8gb) as external media source to enjoy audio and video programs. The range can be availed from us at most competitive prices. Catering to the vast market demands, we are engaged in sourcing, supplying and exporting a wide range of Electronic Video Glasses. These are equipped with excellent quality micro parts with the constant support of latest technology. Moreover, these glasses are extensively demanded and appreciated by our valuable clients due to their fine picture quality and longer service life. 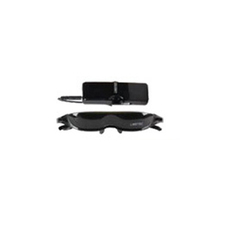 With firm commitment to quality, we are engaged in offering high-quality Video Glasses. Prior to dispatch, we make these glasses pass a quality check so as to ensure their ability to stand tall on the expectations of patrons. Our vendors carry out the manufacturing process of these Video Glass" under the proper supervision of professionals by making use of the latest technology and high-grade raw material.